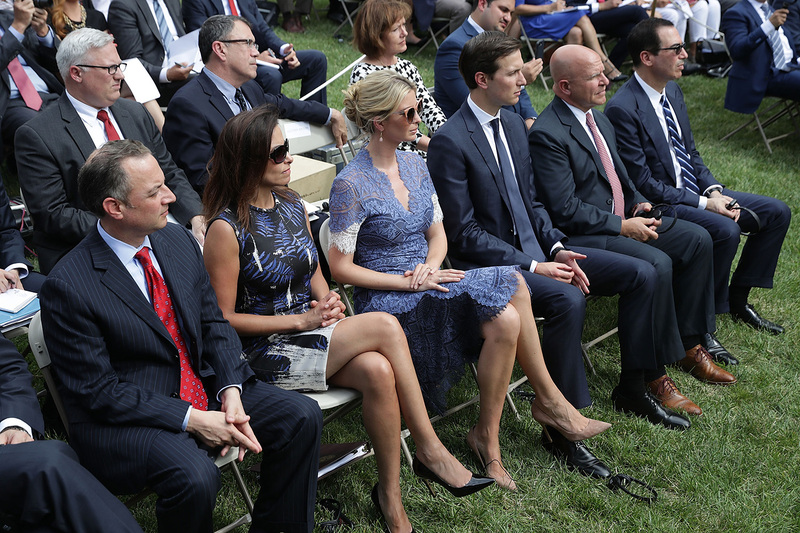 President Donald Trump’s top candidate to replace Nikki Haley as U.S. ambassador to the United Nations is a former administration aide who has a close friendship with his daughter Ivanka and his son-in-law, White House senior adviser Jared Kushner. Dina Powell, currently a senior executive at Goldman Sachs after a year-long stint as Trump’s deputy national security adviser, spoke with the president about taking the U.N. job when Haley departs at the end of the year, The Washington Post reported Wednesday night. “Dina would love it,” he said. While Trump appears to be warm to welcoming Powell back to the administration, her chances could be hurt by past friction with White House Chief of Staff John Kelly. In private conversations, Kelly reportedly criticized Powell’s job performance and accused her of ignoring his protocols in the White House. Powell is also distrusted by some Trump allies who see her in the “globalist” mode of departed administration aides H.R. McMaster, the former national security advisor, and Gary Cohn, the ex-director of Trump’s National Economic Council. Still, Powell is widely considered to be the front-runner for U.N. ambassador because she is held in high esteem by the Republican establishment and is unlikely to face a tough confirmation in the Senate. Powell was also Haley’s recommendation to succeed her at the U.N., Axios reported Wednesday. After leaving the White House, Powell returned to Goldman Sachs as a member of the investment bank’s management committee.